Today (29th December), some of the Trust’s staff were back at work here at Roman Circus House after the Christmas break… As most people are still on their break until after the New Year, and the Roman circus centre is closed until the 4th January, it was very quiet outside, so we took the opportunity to go out and get some photo.s of the circus site and the surviving buildings of the Artillery Barracks around the circus centre. This blog post presents a timeline of Colchester’s Roman circus, with reference to the item which we posted in this blog on the 26th November, titled ‘ “Timeline: the rise and fall of the Roman games” ’. Colchester’s Roman circus was built in the early 2nd century AD and seems to have been in use for about 150 years, until towards the end of the 3rd century AD. This timeline illustrates the four lives of the Roman circus: as a functioning Roman circus, as ruins and then below-ground remains, as archaeological eidence and then an archaeological site/s, and now as a visitor site and centre. end of the 3rd century – circus went out of use and deteriorated. During the following centuries, the circus was demolished and people removed its materials for re-use in other buildings, even digging trenches to ‘rob’ the stone of its foundations below-ground. 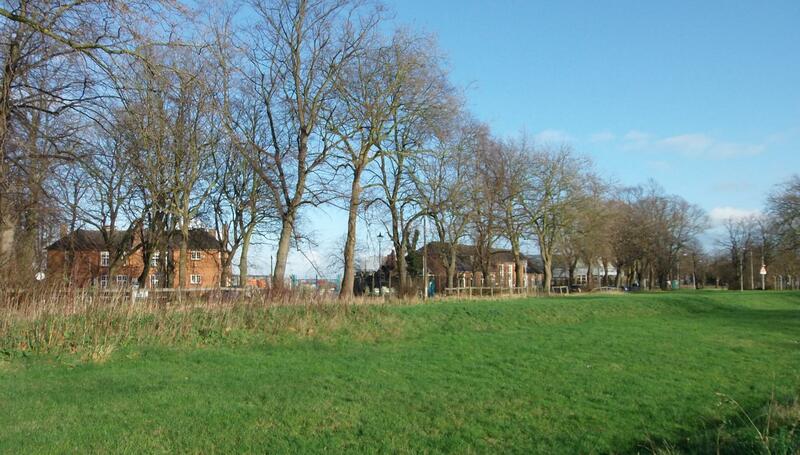 2000 – Colchester garrison was sold for redevelopment and the Trust was awarded the contract to undertake archaeological fieldwork across the whole area of the garrison on behalf of the new landowners. 2007 – November: the site of the circus given Scheduled Ancient Monument status. 2015 – March: we completed the circus walkway for visitors in the garden of the Roman circus centre. For more information about the Trust’s archaeological projects at Colchester’s old garrison and the archaeology of the Roman circus, please read CAT Report 412: this is available in our online archive at http://cat.essex.ac.uk/ . 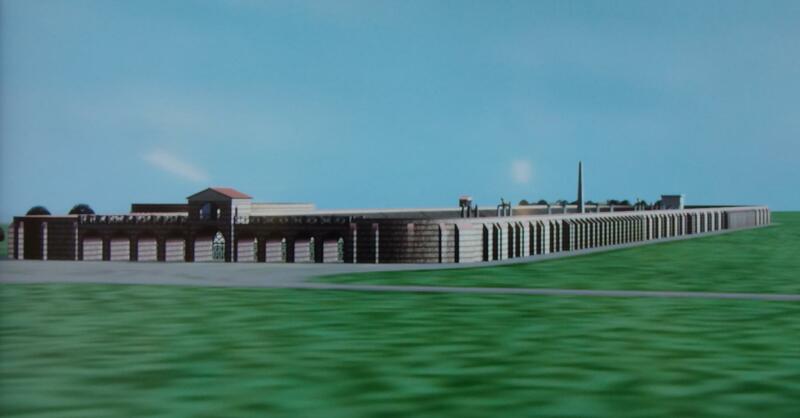 The images show the earth bank as photographed today (with the Roman circus centre behind the trees to the left), and part of the 3d-modelled circus, part of which matches the earth bank (from the video which is displayed in the circus centre).